Is Bitcoin just 'Tulip Mania', Take Two? Is the bitcoin boom about to turn into one of history's biggest busts? The digital currency's massive surge this year -- it's up more than 1,400% -- has all the hallmarks of a huge speculative bubble, according to people such as Warren Buffett. And if it bursts, the results are likely to be spectacular. "In terms of how it ends, bubble history suggests it will be with a bang, rather than a whimper," said Sharon Zoller, an economist at ANZ. "I can't think of any reason why this time would be different." In the early 17th century, speculation helped drive the value of tulip bulbs in the Netherlands to previously unheard of prices. 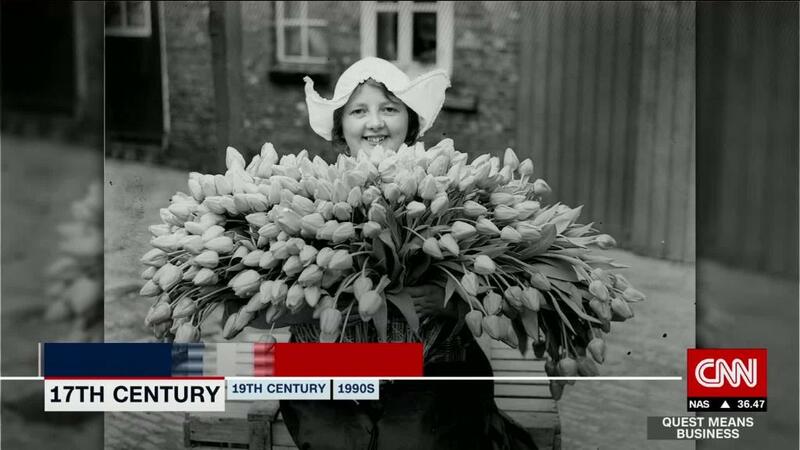 Newly imported from Turkey, tulips were a big novelty at the time. Hard data from those days is scarce, so it's difficult to gauge exactly how much prices soared. But people were putting up their homes as collateral, according to the Rijksmuseum -- the Museum of the Netherlands -- in Amsterdam. Like many bubbles, prices were driven by greed or the fear of missing out. Speculators were buying bulbs in the hope that they could sell them on at an even higher price. Again, it didn't last. A flurry of sales caused a domino effect, and prices collapsed. 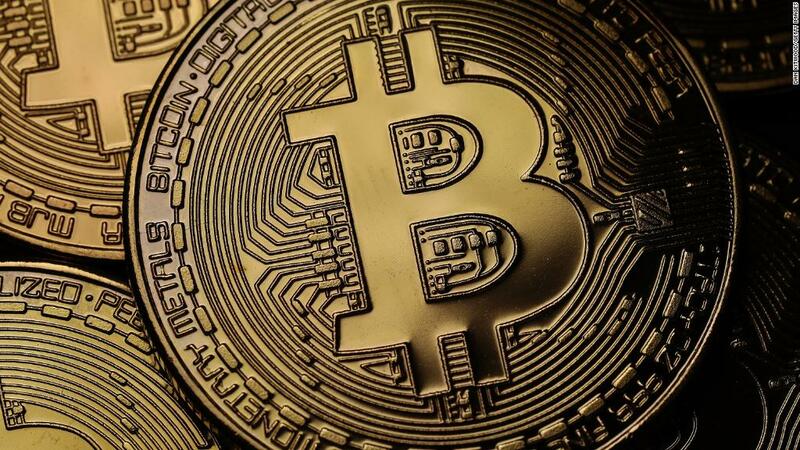 Stephen Innes, head of Asian trading at currency broker Oanda, believes bitcoin bubble could go the same way. "Prices will become so out of reach of the common man that ultimately demand fades," he said. In the 18th century, shares in the South Sea Company, a British trading firm, soared on expectations it would soon reap bumper profits from trade with South America. But the big money never materialized. South America was controlled by Spain, which was at war with the British Empire at the time. That made a British trading monopoly in the region unlikely, according to the Encylopedia Britannica. Nevertheless, British mom-and-pop investors piled into the South Sea Company's stock, which popped about 900% in the space of a year. Soon afterward, the shares began to plunge as speculators became sellers. The South Sea bubble's collapse left a trail of bankruptcies in its wake. In the five years prior to October 1929's huge crash, stocks listed on the Dow Jones Industrial Average skyrocketed 500%. Investors had become very bullish on the U.S. economy during the "Roaring 20s," prompting them to keep bidding stock prices higher. Eventually cracks in the economy started to appear. 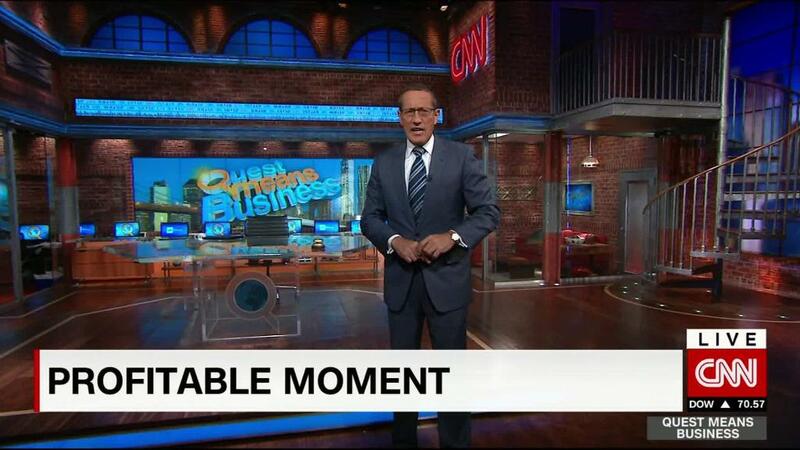 The crash didn't happen on just one day. The pain was spread out over several big plunges in the Dow, according to the Federal Reserve. Making things much worse, many of the investors who had jumped on the bandwagon did so with borrowed money. The crash led to the tremendous suffering of the Great Depression. Wall Street didn't find its bottom until more than two years later, when the Dow languished 90% below its 1929 peak. Investors were gripped by an internet frenzy in the late 1990s. They piled into web-focused companies, pushing the Nasdaq index up about 200% in the space of just over a year. Those gains were fueled by a string of multibillion dollar stock floats during the era, many of which were unprofitable internet and software companies. The party didn't last. The bubble burst in early 2000, partly because higher interest rates made borrowing pricier. The Nasdaq plunged around 80% over the next couple of years. But Shane Oliver, an economist at Australia's AMP Capital, said bitcoin's meteoric rise isn't quite like any previous bubbles he's seen before. "Bitcoin leaves them for dead." he said.